Gelleesh: Prettify Yourself, It's Alright! 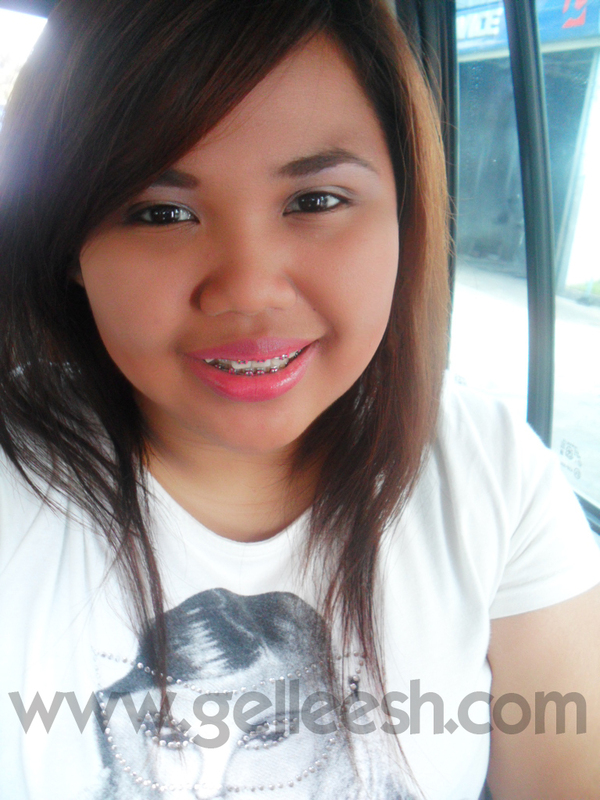 If you have been following me on Twitter you know that I just had my braces last Saturday. I am on a soft-food diet right now and I'm still talking like crazy and when I smile, I need to do it full showing off my braces so it wouldn't hurt my gums or whatever part of that mouth is. It's still uncomfortable and I so wanna remove them right now; but I say, NO PAIN, NO GAIN! True enough some of us are satisfied with just looking plain with no desire of improving. Whether it be by physical or mental or in whatever aspect, we shouldn't be satisfied. Constantly improve yourself and don't just say: "Tama na 'to!" Isn't it better if we could look at ourselves and say: "Great!" I am not talking about the common concept of what is beautiful or not; what I'm talking about is constantly improving yourself for your own self, your own definition of what is beautiful and never to please other people. A lot of you might be asking, why JUST NOW? My voice is my asset. It's not because I have the best singing voice, errgh, it's because my forte is speech and diction and all those stuff. I join declamation contests even from way back elementary and I took up Mass Communication in College which made me win my 2 Best Speaker Award, 2nd Runner Up in a Dramatic Reading Competition and 3rd Runner Up in an Extemporaneous Speech Competition. I'm not bragging. I'm just emphasizing that my talent in pronouncing words properly and speaking is what I do best and a year and a half with braces just won't do. I know I will soon get used to anyway but there isn't even a school day wherein I won't be using my speech-cheness. So my mom and I agreed that I won't be having braces till after college. Then my 2 work experiences after college required me to really talk a lot again and so my mom and I agreed that I still can't have braces. Now, my work as a Publications Associate wherein writing is what I do more, allowed me to have braces! I know this is a personal blog post; but at the same it is related to beauty because this is one of things I'd be doing to beautify or prettify myself. It is my personal way of improving myself physically and I want to share this experience and phase with you guys. Again, Love yourself guys; but there is nothing wrong with improving yourself. It doesn't mean you hate how you look like, it's just that you want to look better. How 'bout you guys, share a story at the comments below on how you beautify or prettify yourself. Whether it be something invasive or whatever, let's talk about this at the comments section.